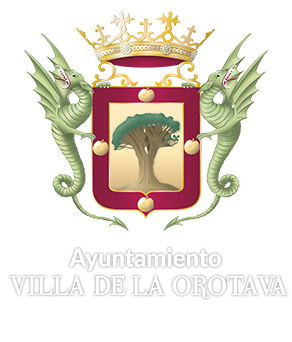 Villa de La Orotava has been and continues to be one of the most important centres of artisan production in the Canary Archipelago, for quality, variety and volume of production, as well as for the amount of producing centres and self-employed workers. The artisan facets that can be found in our municipality are many and diverse. But, undoubtedly, the openwork and embroideries, in which the women from La Orotava have achieved great skill and refined taste, are the ones that attract the most attention among our visitors. A work that began as a female entertainment has become an art that follows very ancient methods and doctrines. The piece of cloth that is going to be used is placed In the frames, the design has been previously drawn, and the fabric is frayed, thread by thread, with a needle and, later, the drawings are formed in different styles with such curious names as ‘in thread’, ‘in biscuit’, ‘in cross and cashew’ or ‘in madrigal’ style. There are different types and varieties of works: rough, fine, old and new, depending on each artist. Needle, scissors and thread are the instruments of their trade. But there is more to La Orotava than openwork and embroidery. With a brief tour around the town we can see that crafts are found in gardens, in superb constructions, in the dense repertoire of windows, in the rich coffered ceilings, in the traditional carved balconies, built with the best pinewood of ​​the Island. However, it is in Corpus Christi celebrations, when La Orotava dresses up. The town transforms its streets into authentic gardens, a tradition that dates back to 1847 and the famous flower and Mount Teide volcanic sand tapestries are made in honor of the Blessed Sacrament. Their colourful and extraordinary beauty, an expression of the religiosity and the creative and artisanal spirit of the inhabitants of La Orotava, make this festival the greatest artistic manifestation of the island, causing admiration among the increasing number of visitors from all over the world who travel to our municipality in these dates. Handmade tobaccos, traditional ceramics, typical costumes, baskets and hampers, knives and an unimaginable variety of handcrafted products can be acquired or admired in Villa de La Orotava. We also invite you to visit the Pinolere Craft Fair, which is always held at the first weekend of September and the La Orotava Farmer's Market, where every Saturday farmers mix with some artisans showing crafts made with their own hands.